One of the first things you come across when learning languages are the Days of the Week. Notice how the Spanish days of the week do NOT start with a capital letter. 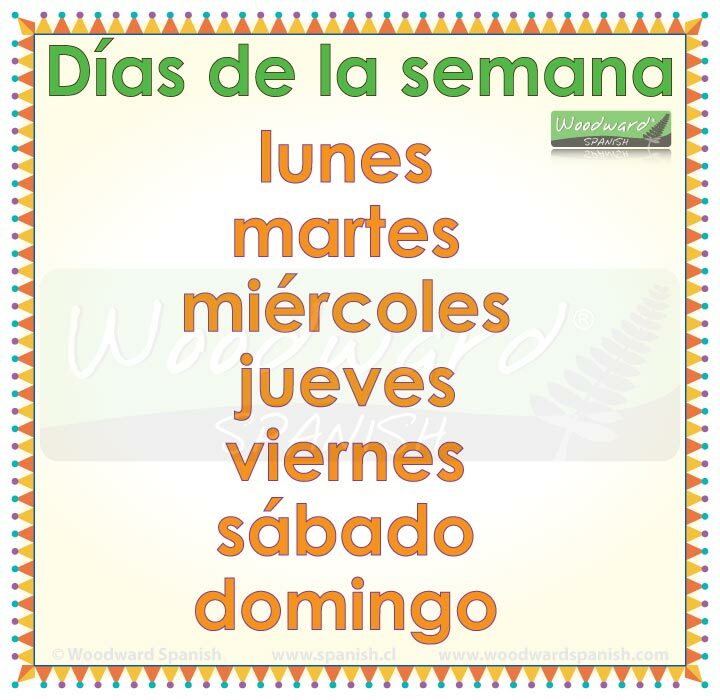 See our complete lesson about Days of the week in Spanish. One tip to help you learn the days of the week is if you have a wall calendar (Do other people still use these? I do!) and to cover the names of the days in English (or your language) with their equivalents in Spanish. Just remember to change them first thing in the morning. NOTE: Check out our Spanish Days of the Week Flash Cards and Activities (For Spanish Teachers and Students). 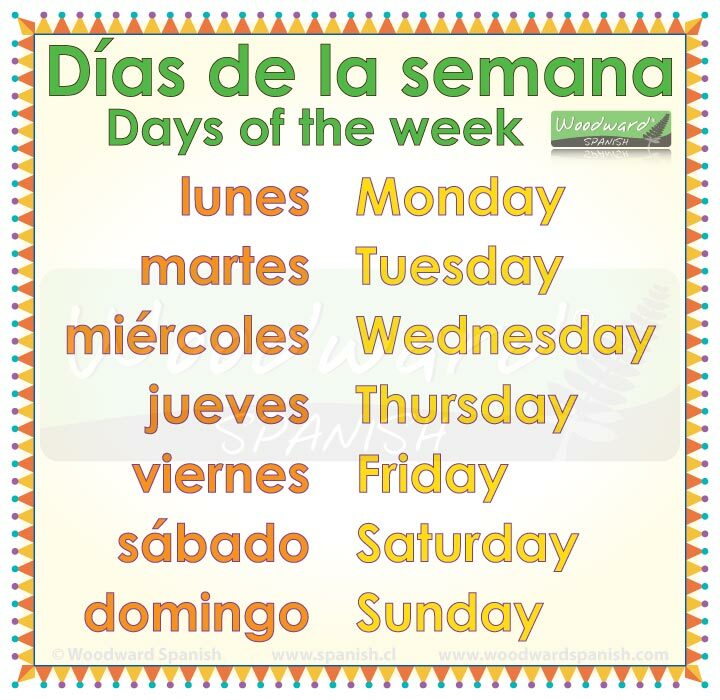 To help you, we have created the following charts about the Days of the week in Spanish. One chart is with the names of the days in Spanish with the English translation beside each one. The other is with the days in Spanish without by themselves. Keep a copy of one of these on your phone, computer or just print it out. You have such good information and tips in your blog. I need to hook up so that I can make sure I do not forget to read it consistently. I am so glad I remembered to feature other bilingual and Spanish teachers on my blog because I am learning so much from every one. It feels so good collaborating with others that “speak the same language”.